KONGs are easy to keep clean and top-shelf dishwasher safe. Caretakers should regularly examine toys and look for cracks, separations and/or missing pieces. Inspect KONG rubber toys by flexing the rubber when it is dry. Loose pieces larger than a food nugget can be harmful if swallowed so make sure to remove or replace damaged or worn toys. My Dutchie destroyed it within 20 seconds. He plays HARD. It would be great for a smaller, less aggressive dog. This is my 8 year old lab's favorite toy! And mine too. It's light and easy to toss; and when he brings it back to me, I don't have to touch his slobber - I simply grab the rope and toss it again. Can't wait to try it out in the water. My dogs went absolutely NUTS when they saw this toy at first sight, even before they even touched it or knew what it was! This is really important because I'm getting them into dock diving and I want them to be interested in the dummy, of course! :) When I ordered this dummy I didnt realize it was foam, but the foam is SO dense my dogs which usually are able to even rip apart anything weren't able to puncture it when doing retrievals and slight reward play. This worked great to train for retrieving birds. Better than the white canvas one. I have a medium sized Catahoula she's 47 lbs it's to thick for her to grab on to. MY fault should have went with the large ugh. looks like a Great trainer.. The XL is massive defiantly a good size Duck test.. think a long softball..
We love this product! It's the one of the best water bumpers we have found. Super durable and a great brand! The dogs love there new toy! 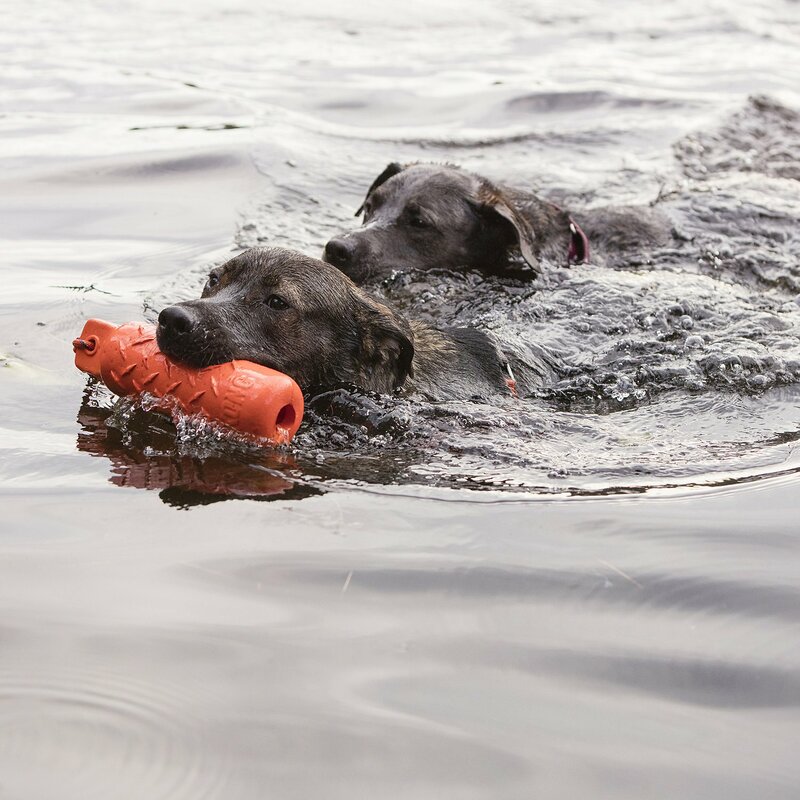 This toy is amazing for dogs, especially for the lake!